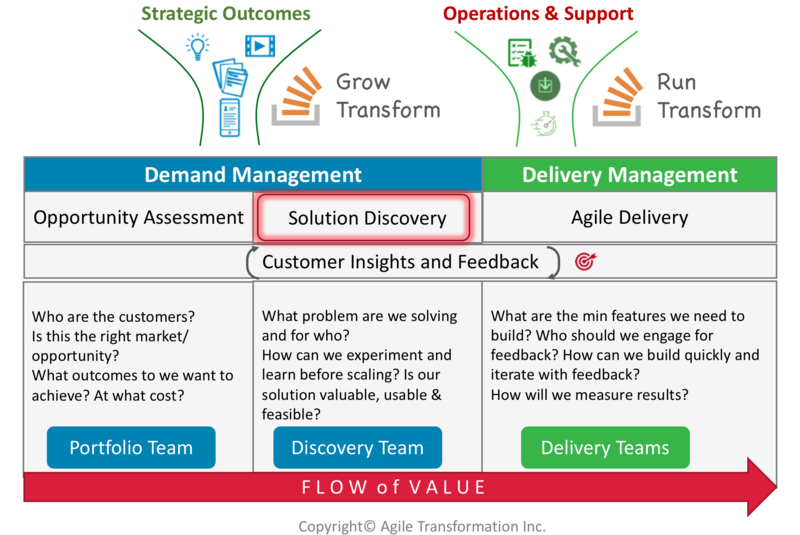 This pillar captures the concept of being a customer-focused organization where decisions about the products are made based on aligning customer needs and wants with the overall goals of the organization. To achieve this, users and customers are engaged early and often, the “voice of the customer” is made real and is used throughout the product development process, and feedback from users and customers is incorporated and helps drive product decisions. To get the customer a seat at the table, the organization uses various techniques including user personas, journey maps, product experiments (minimum viable products and prototypes), customer interviews and focus groups. Customers are accurately identified, well understood and provide feedback throughout the discovery and development process. Measure: Higher satisfaction, engagement and usage of features delivered. Increase # of customers. Ideas are tested incrementally and only the best ideas move forward. Measure: Lower number of features on the backlog and less WIP. 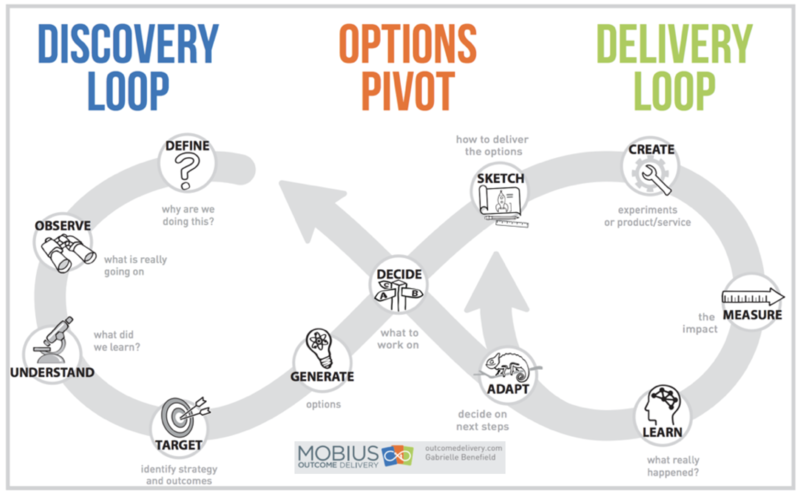 Product discovery is deliberate, mature and ahead of delivery. Measure: Delivery teams always have their next experiments/MVPs ready to work on. This assessments helps your Product and Portfolio Leadership team assess their current Lean Product Management maturity so they can identify strengths and areas for improvement. Completed by: Portfolio leaders, product leaders and delivery leaders.